Search Engine Optimization or SEO is the guideline that can be followed by the owners of a website to optimize their sites and make it appealing to the search engines. Furthermore, following these guidelines can also make the website more user-friendly and faster. You, me and majority of the user that perform a search on a search engine are likely to click on the top 5 suggestions that appear on the search results. SEO helps your site to get on those positions. Apart from that, good SEO practices can also improve the overall user experience of your site. If your site is on the top 5 positions or even on the first page of the result, the user is more likely to trust your site for the authenticity of the information. SEO can help your site stand out from the competition. This is just scratching the surface. But this involves a lot of work that requires a lot of knowledge and technical know-how. It is more than just adding a ton of keywords in the paragraphs and the title. This is where Yoast SEO plugin comes in handy. Yoast SEO is one of the most popular SEO plugins in WordPress. It is free and does what it is intended to do without much hassle. 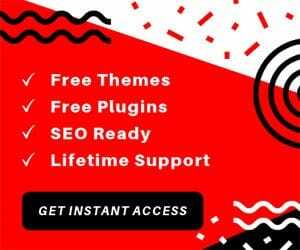 The reason WordPress is popular among bloggers is that the contents are automatically optimized for search engine without bloggers even knowing about it or doing anything. But if you want to make your blog or site to appear on at least the front page if not at the top of the search result, you need to optimize the SEO further. This is where Yoast SEO come to rescue. Yoast SEO will automatically optimize meta tags and other elements without you even knowing about it. These tags are what search engines read before populating the results. You also have the power to hide pages from the public. One of the most useful features of Yoast SEO is that it continuously monitors your work and come up with suggestions to improve it further. It will highlight the sentences that it thinks to need improvements. Moreover, Yoast SEO helps you share your work in the popular social media platforms. So without any further ado, let’s get into how you set up and optimize your WordPress site with Yoast SEO. Installing a plugin on WordPress is always a piece of cake. All you have to do is log in to your WordPress site -> Click on Plugins -> Add New. On the search box, write Yoast SEO and hit enter. The first result should be the required plugin. Click on Install to begin the installation process. After the installation is done, hit the Activate button. Now it’s time to set it up. This is the easiest way to configure Yoast SEO. You will be asked a few questions, and the plugin is automatically configured based on your answers. However, this is not the best way to configure the plugin as the settings are limited. But this is the easiest way if you are a beginner. Step 1: To open up the Configuration Wizard, click on SEO on the dashboard -> navigate to the General tab and click on Open configuration wizard. Click on the Configure Yoast SEO button on the Welcome screen to get started. The Welcome screen is the first step itself so that we will start with the second step. Step 2: Select a suitable option. Assuming this is a live site, select the first option – Production. Step 3: This is where you select what type of site you have. Choose the suitable option as this will help Yoast SEO to optimize the settings better. Step 4: If the site you are running is a personal site, select Person. If you are running a company’s site, select Company and enter the company’s name. You will also need to upload the company’s logo. 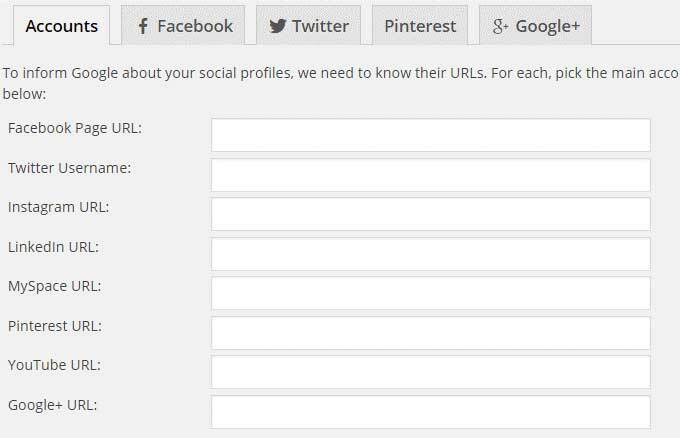 Step 5: Now, you have to enter the usernames (or URLs where asked) of the social media platforms if can skip this if you want. Step 6: This step allows you to choose the type of posts that you want to be visible to Google. Turn the Media to Hidden if you do not know what you are doing. Step 7: If the site you are running has multiple authors, select Yes. If not then select No. Step 8: If you want to connect Yoast SEO to Google Search Console, click on the purple Google Authorization Code button. A popup will open where you allow permission. After you let it, you will find a code that you need to copy and paste it below the previous purple button and click on Authenticate button. Step 9: Enter the name of your site and choose the title separator. Step 10 and 11 are optional. Skip to Step 12 and click on Close button. To access the Yoast SEO Dashboard, all you need to do is click on the SEO menu located at the Admin Sidebar. This will take you to the Yoast SEO Dashboard. There, you will find two boxes with the name Problems and Notifications. Problems box shows you any existing SEO problems. It detects them and alerts you. The notification box will help you configure the Yoast SEO plugin better. Along with the dashboard are two more tabs – Features and Webmasters tool. Before we dive into the advanced options, we first need to configure the basic settings. 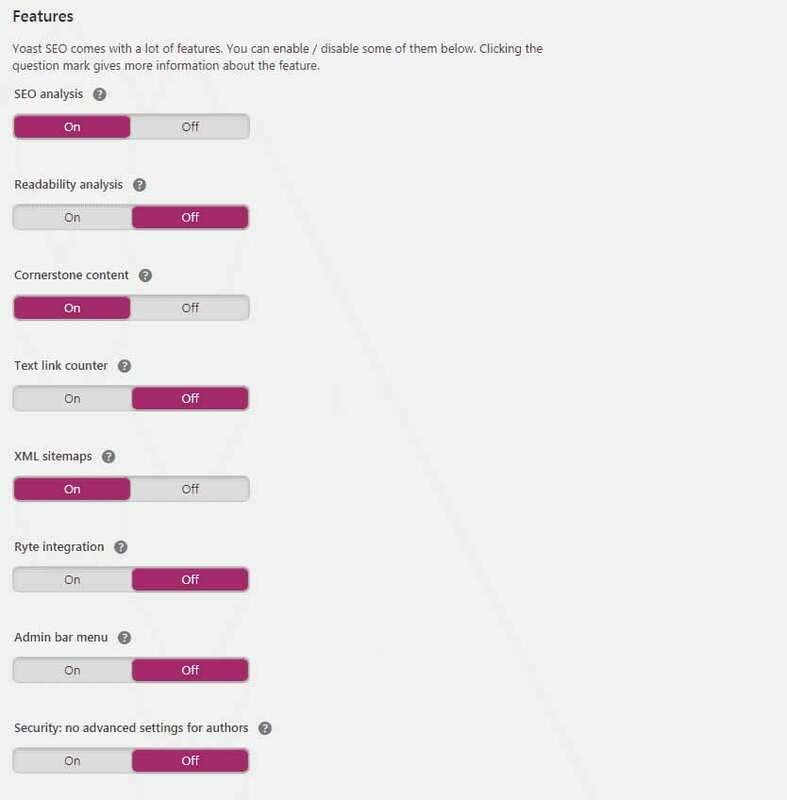 The features tab has eight options you can toggle on or off. Depending upon your need, you can either turn it on or turn it off. Below is the description for each of them to help you understand these options better. SEO analysis: provides you with suggestions for improving the SEO of your content. 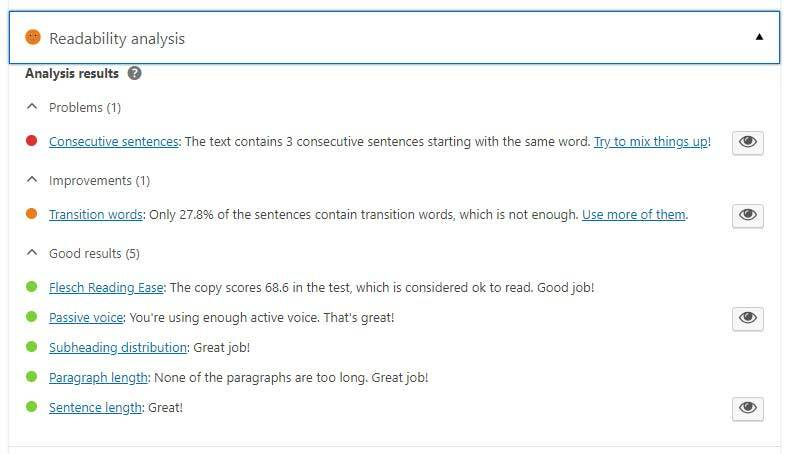 Readability analysis: provides suggestions to improve the structure of the text. Cornerstone content: lets you mark and filter out cornerstone contents. Text link counter: counts the public links on your website for suggesting better keyboard texts. Ryte integration: checks if the website is indexable by search engines. Admin bar menu: add shortcuts to the admin bar. Security: no advanced settings for authors: advanced options that allow the user to tinker with posts. I highly recommend you to click the question mark on each of the options if you are a beginner to the concept of SEO. You can use this tab to verify the website’s ownership with search engines. This is important as it not only shows how your site is doing but also how the searchers see your site in the search results. You can research more about Webmasters tools to know how this impacts the overall performance of your site. Visit Google Search Console Login if needed. On the Site URL box, enter the complete URL of your site. You should include the HTTP or HTTPS. Click on the arrow next to the HTML tag. Click on SEO on the Admin bar. Click on Webmasters tools tab. Paste the code in the Google verification code box. Click Save. Back on the Google Search Console site, click Verify. Using Yoast SEO plugin, you get a lot of control over the title and meta of your pages. This setting used here will be site wide, but you will be able to change it on each page using the post editor individually. To get started, go to Yoast SEO -> Search Appearance. Force rewrite titles – The only time you should enable this option is if Yoast SEO asks you to. With this, you can rewrite the titles tags of the theme you are using. Title Separator – The option you choose here will be the default title separator. You can choose another in the post editor. The character you choose will be shown between the page title and the site name. 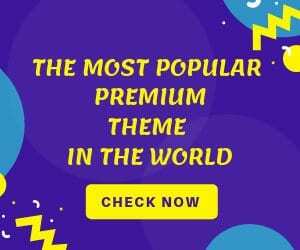 Homepage – You will find two input boxes under this heading – Title template and Meta description template. The Title template, as the name suggests, will allow you to add a title template for your homepage. You can leave it as default. The Meta description template this where you write a small description describing your website. This is what the searchers will see just below the sites name in the search results. Knowledge Graph – The information you enter here will be shown in Google’s Knowledge Graph. You need not to do much here. Just provide appropriate information. The second tab of the Search Appearance Settings is the Content Types. This tab allows you to configure the default settings for all the post types on your site. There are a few things you need to know about in this tab. Title Template: You can leave this as default unless you know what you are doing. This makes it easier for you to assign titles as you do not need to start from scratch. Meta Robots/ Show Posts in Search Results: This option is essential. You can turn it on or off. Disabling it will not index the page, and it will not appear in the search results. It should leave it as default. Date in Snipper Preview: This will add the publication date just below the title and right in the meta description in the search results. Yoast Seo Meta Box: Enable this option as it is beneficial. This will put a box just below the post editor that simulates that particular post’s snippet in the search results. You should set this option as Yes. WordPress automatically assigns a URL for media files and attachments whenever you upload them. This is not useful for visitors to see. Enabling this option will redirect the attachments URLs. Taxonomies allow you to configure the title and meta for Categories, Tags and Post Format. You should set the Show Categories in search results to No as these can cause duplicate content on your site. You should also set Format-based archives to Disabled as enabling this will show tags, format, slideshow, etc. in the search results. Disable the Author archives if you are the single author. But, if your site has multiple authors, make sure you set the Show Categories in search results to No. Disable the Date archives to prevent duplicate contents. Leave other remaining settings as default. Separator between breadcrumbs: This is just the symbol that separate breadcrumbs. You can leave it as default. Anchor Text for Home: Leave this as default. However, change it to your blog’s name or anything else. Prefix for The Breadcrumb Path: You can leave it as blank. Prefix for Archive breadcrumbs: Leave it as default. Prefix for Search Page breadcrumbs: Adds a prefix to the Search Page breadcrumbs. Breadcrumb for 404 Page: Displayed on 404 error pages. Show Blog Page (Optional): If you are using a custom home and blog page, you will see this setting. Enable this setting. Bold the Last Page: Set this to regular. You should add your site to Google Search Console. This helps to show broken pages. 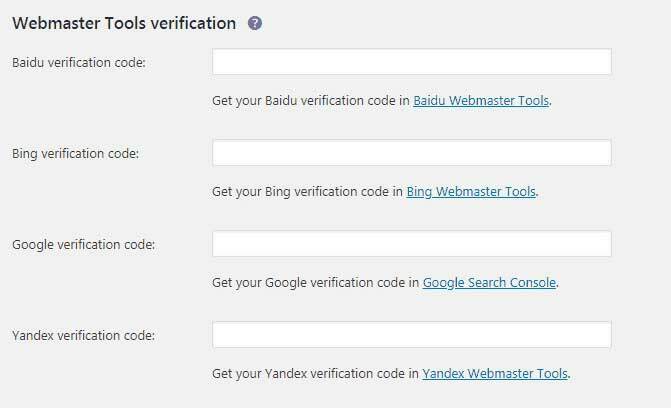 To get started, you need to first verify Search Console on General -> Webmasters tools as we have discussed previously on Webmasters tools. Now click on Get Google Authorization Code. You can now see all the errors. 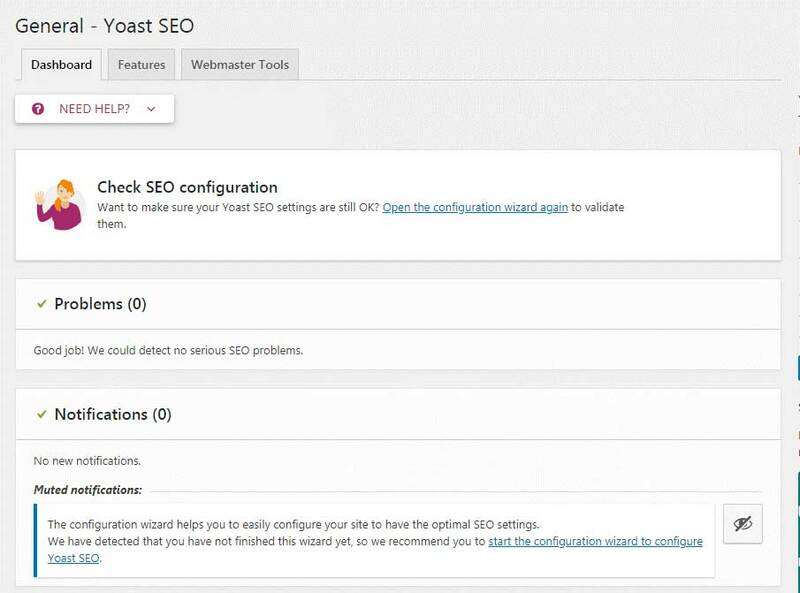 Using the Yoast SEO Premium, you can quickly fix all these errors. Or you could opt for a free alternative – Quick Page/Post Redirect plugin. You will find five tabs on this settings page – Accounts, Facebook, Twitter, Pinterest, Google+. Accounts – This allows the search engines to figure out what social profiles are associated with this site. Fill the boxes will relevant information. Facebook – Enable Open Graph meta data option. This is necessary for social networks like Facebook to know what the content is about. You can also choose to select the default image for the pages that don’t have any images. This is what will be shown when someone shares the link. Twitter – Enable Add Twitter card metadata. Twitter displays links as cards, enabling this will enable you to configure it. Choose the default card type to use. Pinterest – Click on the confirm your site with the Pinterest link to get the confirmation code. Google+ – You should enter your Google+ page URL in the provided box. On your Google + page, add the link to your site. This will let Google know these two are connected. Bulk Editor will edit the titles and meta descriptions without you having to go through each of them individually. File Editor will enable you to edit the robots.txt and .htaccess files. You can import recommended or pre-assigned settings from other to refrain yourself from all the hassles of doing it on your own. You can also export your settings for others to use. Right under the post editor is the Yoast SEO’s On-Page SEO improvement suggestions and analysis. The instructions are easy to understand and show you how you can further improve the content for readers and search engines. The readability analysis tab looks similar to the SEO analysis tab with instructions and suggestions to improve the content’s readability. Any changes you make will automatically refresh this tab and show recommendations based on that. There is also a Readability indicator that shows how good your articles is. Green is great, orange is alright, but if there’s red, you may have to improve your article depending on the type of item. You do not need to always go for the Green. The Keyword Analyzer is another useful tool. 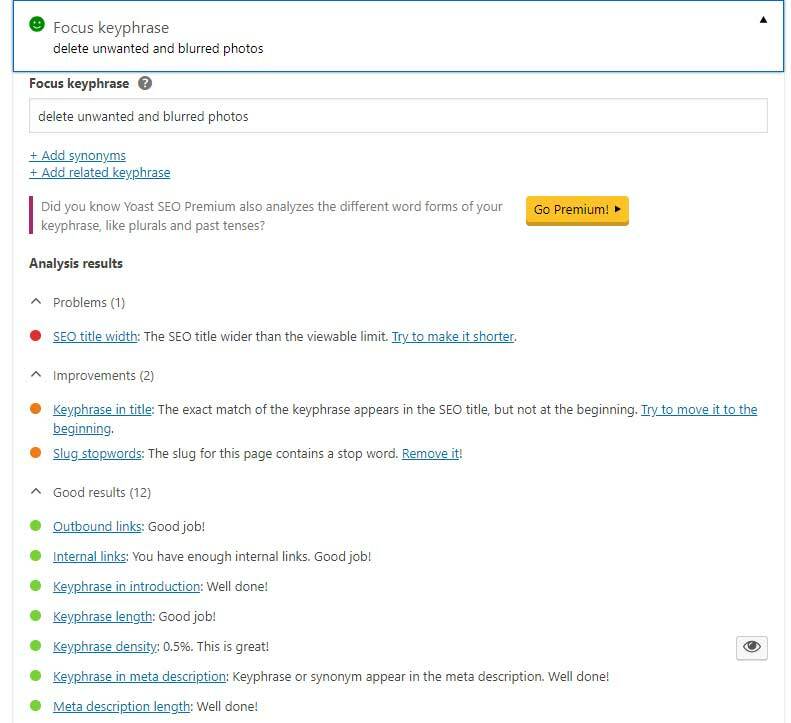 Once you add a focus keyword, Yoast will analyze it and start showing you suggestions to improve the onPage SEO further. It is recommended that you get the indicator to Green. That would be fairly simple if you follow the instructions. Getting this to green is more straightforward than getting readability to green.